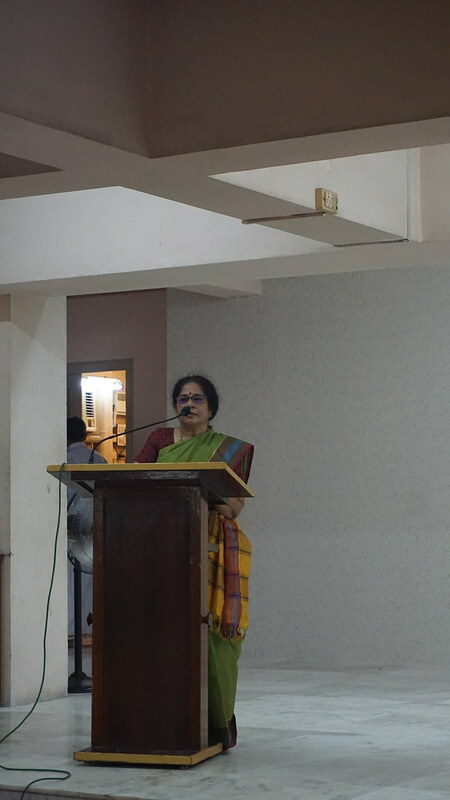 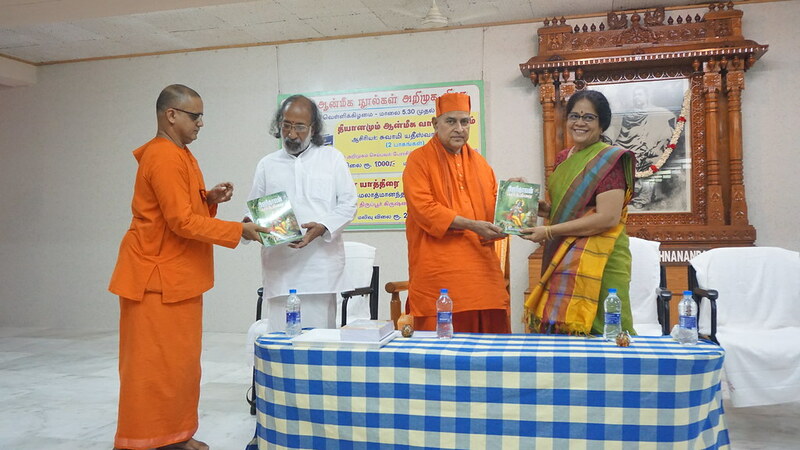 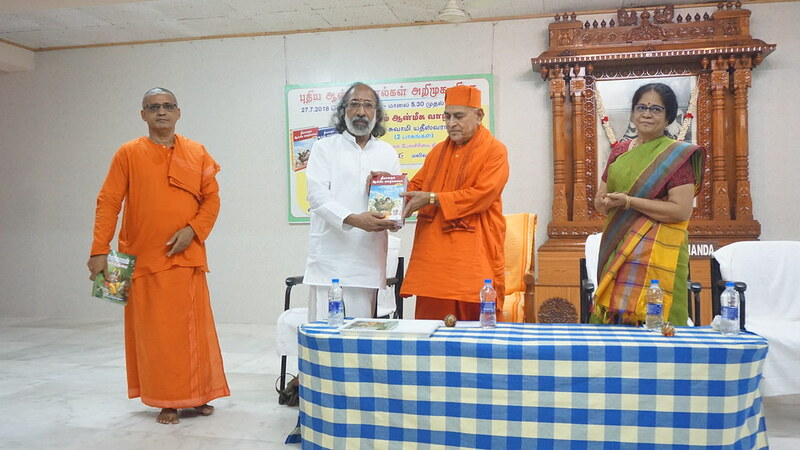 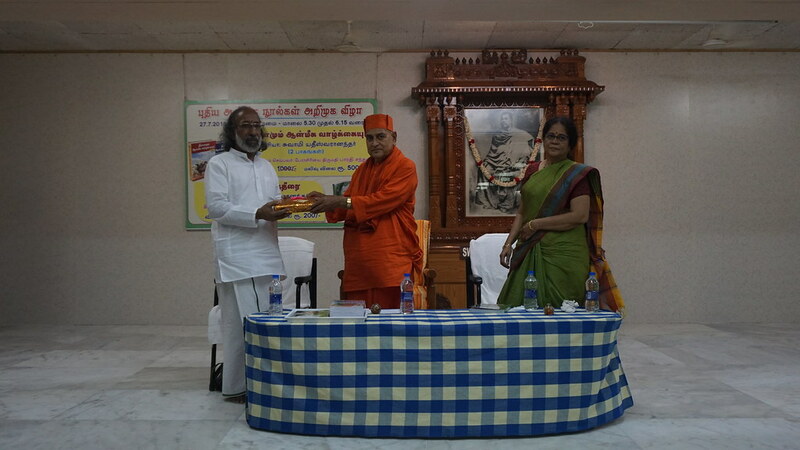 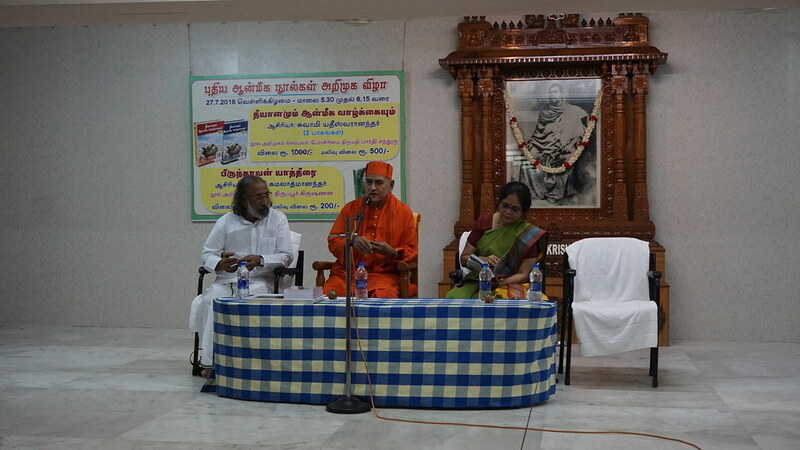 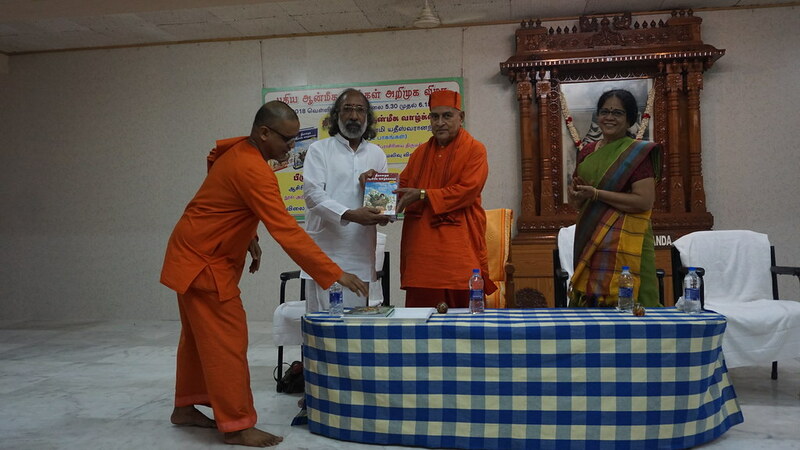 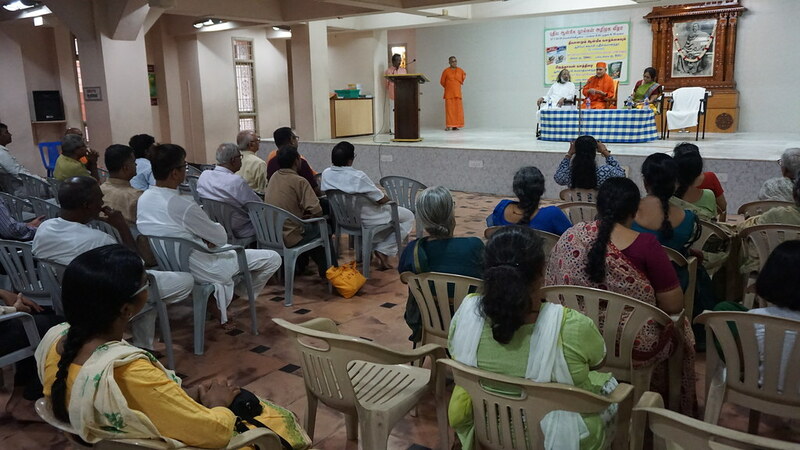 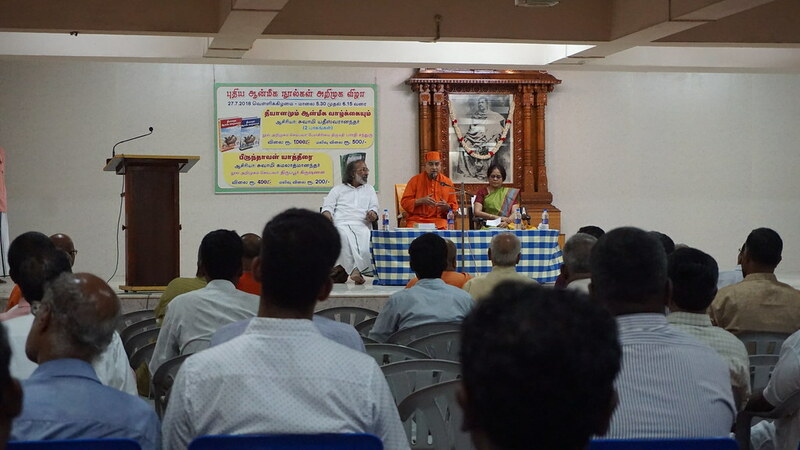 On Guru Purnima Day (27th July 2018) at 5.30 pm, there was a book release function. 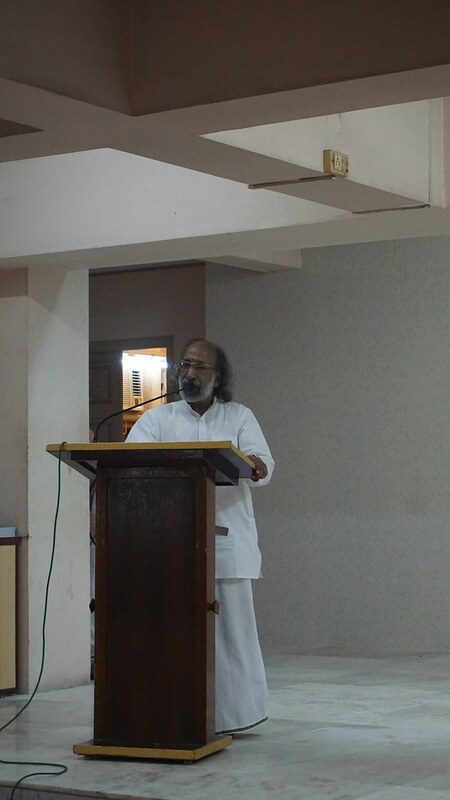 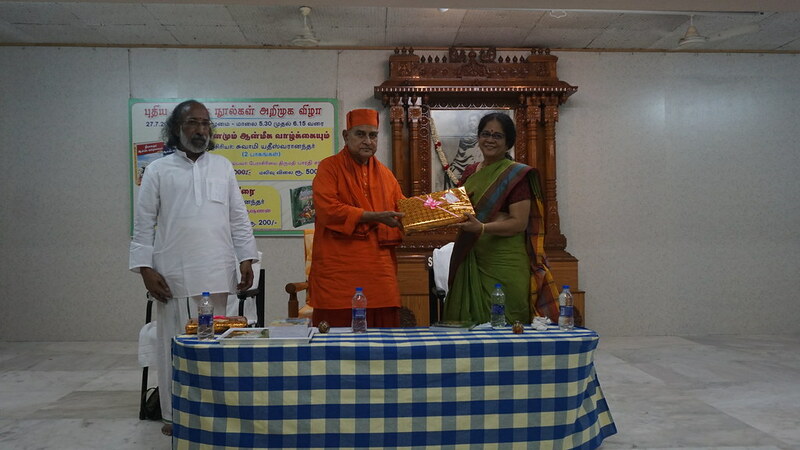 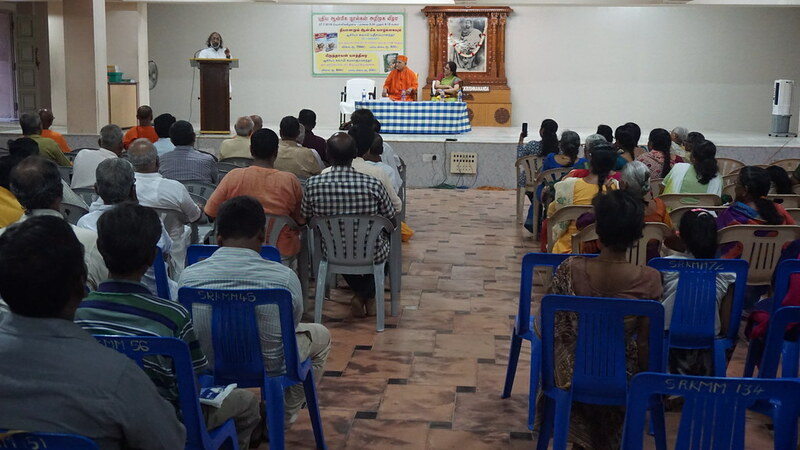 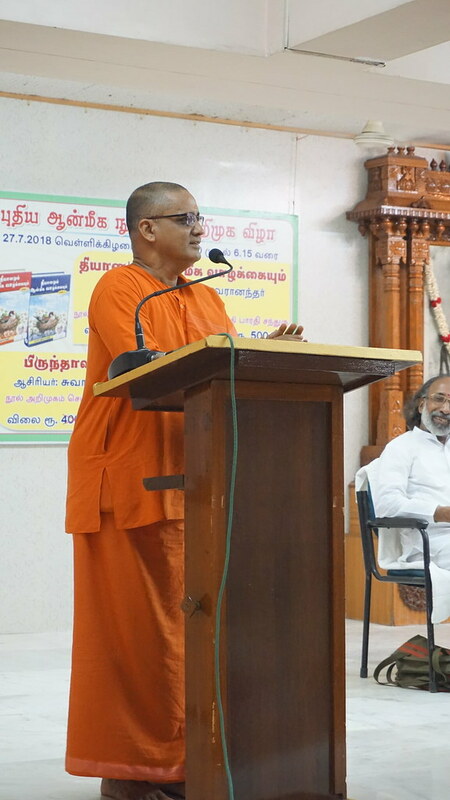 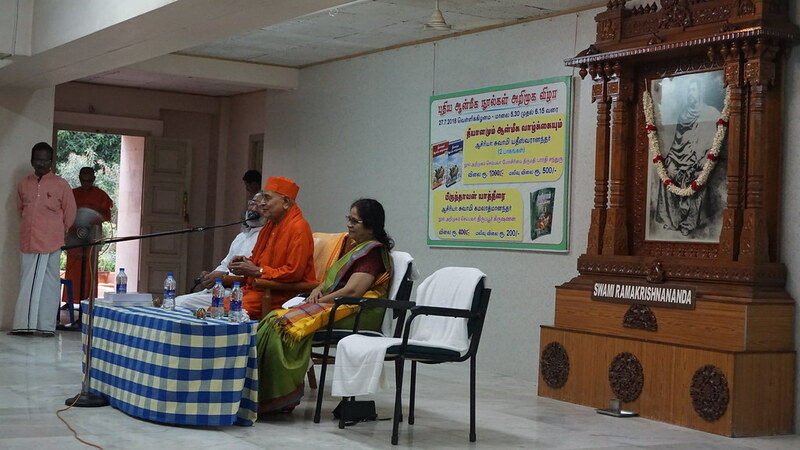 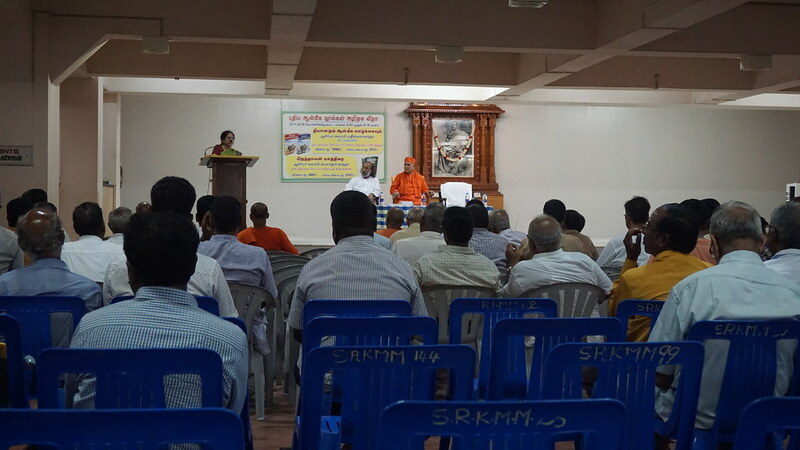 Most revered Swami Gautamananda ji Maharaj has presided over the function. 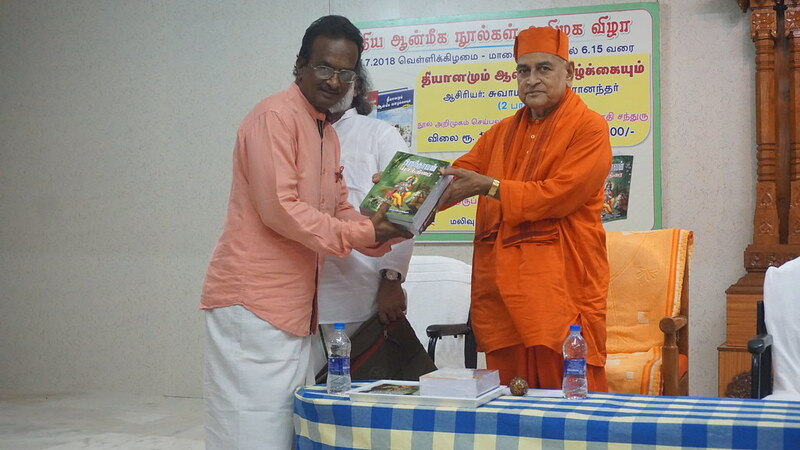 Two new Tamil Books (1) Dhyanamum Anmiga Vazhkaiyum 2 Volumes (Tamil) (2) Brindavan Yatirai (Tamil) were released on this day.